As private insurance companies have realized that providing flood damage insurance is unprofitable, the federal National Flood Insurance Plan (NFIP) is virtually the only insurer left standing against flood damage. 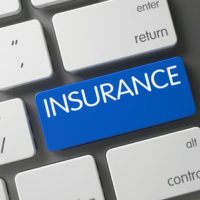 That may all change in the coming years, or even sooner, now that the program is set to expire September 2017, according to the Insurance Journal. The House is reviewing seven proposals that would both renew and reform the flood insurance program, which is currently $24 billion in debt. Improving mitigation and claims handling. A 2014 report by the Union of Concerned Scientists, entitled an Overwhelming Risk, discusses the future of flood insurance in the long-term as sea level rise races ever upwards along the Gulf and East coasts. It may be that the federal flood insurance program, which is taxpayer-backed, is done away with completely. The report claims that the “artificially low insurance rates that result” from the federal program have “allowed—indeed, reinforced—risky patterns of land development. They have also created perverse incentives for repetitive insurance claims and an unsustainable level of financial exposure for all taxpayers, who ultimately help pay for insurance claims and disaster relief in the event of a major storm.” Sea level rise is expected to be within eight inches and six and a half feet between 1992 and the end of the 21st century, with faster rates predicted, and already being observed, along the East coast. Whether you have questions about flood insurance or your claim has been denied for any reason, whether you have flood insurance or not, it is in your best interest to contact a lawyer as soon as possible. Contact the Celeste Law Firm in West Palm Beach today at 561-478-2447.